Featuring a modern design and supremely utilitarian, this chest form the Pottery collection by Homelegance will let you maximize on space. The chest bears a simple design that is constructed from select hardwoods and veneers with perfect dexterity, imparting resilience and longevity to the design. The smooth edges and the slender make of the metal glide drawers offer spacious storage space for apparels, linen, accessories and other essentials. The smooth, wide top can be used to display decorative items to lend a personalized touch to your room. 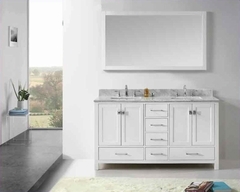 The radiant white sand finish of this statuesque chest lends a refreshing and welcoming appeal to your settings.